My office began stocking Kombucha about a year ago. The rumor at the office was that it was some type of bacteria that was beneficial for your health. Needless to say, that rumor left me very wary. The brand we carry in our NYC office is GT Kombucha. 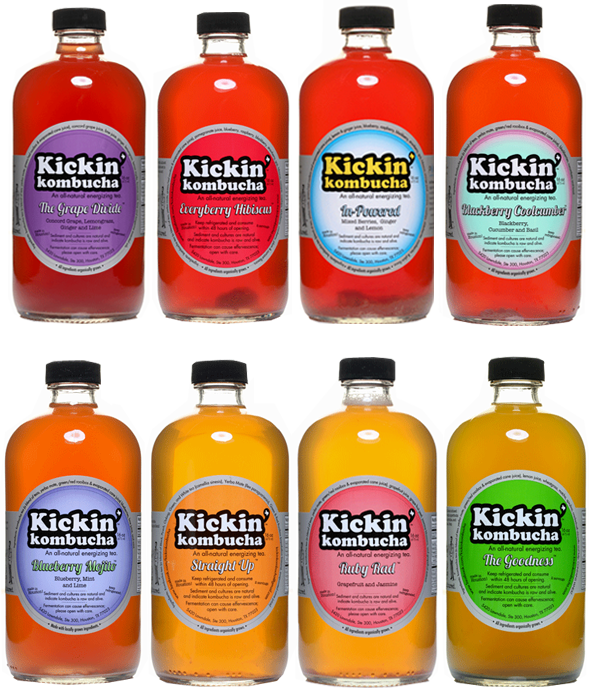 In our Houston office, which I recently visited, we carry a different brand named Kickin' Kombucha. I was really impressed by Kickin's unique flavors. Because everyone in Houston was raving about Kickin' Kombucha I decided to give it a try - it was yummy! My favorite flavor is Wide Eyed which contains ginger, lemon, cayenne, ginseng and guarana. 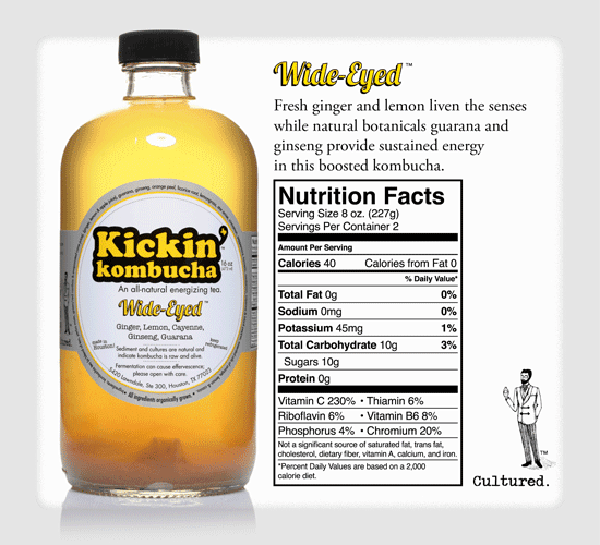 Unfortunately Kickin' Kombucha is only sold in Houston, as it's a local company that is bottled and produced there. If you happen to be in Houston you have to give it a try! For those who are not located in Texas, check out GT Kombucha which is sold at Whole Foods - I'm addicted to the cranberry flavor. While there is currently no scientific evidence to prove that Kombucha helps your health, I will continue to drink it for its delicious taste.